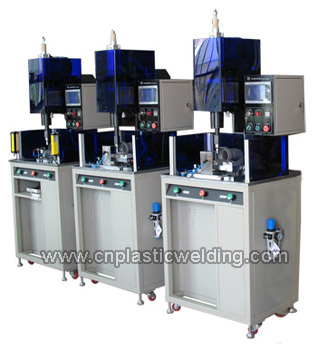 The friction welding machine converts mechanical energy to thermal energy through spin friction at high speed so as to increase the surface temperature of the workpiece being welded. Pressure is applied after melting to weld the parts together. It is not limited by workpiece sizes and materials. Compared with other techniques, the spin welding can reach a welding strength almost as high as the plastic body itself.